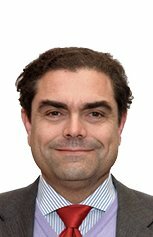 For several years since based in Germany, Libero Riera was the head of the Italian desk at two international tax and law firms specializing on businesses with Italian and German operations. Next, he was the CFO of a medium- sized, world-leading industrial manufacturing group. During this time, Libero realized that also small- and medium-size enterprises needed highly qualified advisory services, much like those offered by larger, international firms, yet from a leaner and more flexible organization that could better tailor itself to its clients. Accordingly, in 2003 Libero Riera founded “RIERA”, a boutique CPA and legal advisory firm based in Munich. 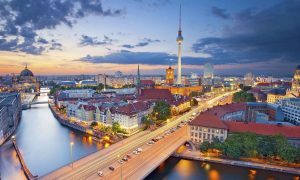 RIERA brings together Italian and German professionals ready to assist Italian investors and companies in their industrial and commercial development in Germany. Over the years, RIERA has advised on industrial and commercial development projects in various industries, such as steel, chemicals, consumer products, industrial machinery, food and mobility. Also, RIERA has advised on a variety of matters, including identifying good targets for acquisition on the German marketplace, on researching the best-suited financial institutions, on getting companies listed on the Frankfurt stock eexchange, on selling them. Today, RIERA continues its mission to provide highly personalized, professional services. RIERA stands committed to its international vocation, rooted more than ever in Germany and Italy. 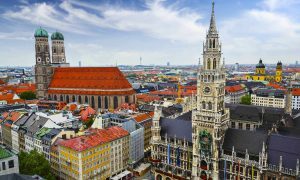 Our long-standing relations in Bavaria with governmental agencies, financial institutions, and a large number of business advisors allow us to stay current on the most interesting investment opportunities on the German marketplace. RIERA grew out of a small group of diverse professionals with Italian and German educational and professional backgrounds. Rather than increasing the number of principals, we have focused all along on expanding our network of trusted external teams which work under our direct supervision. This enables us to service our clients with flexibility and agility, using only the right amount of resources while remaining committed to excellence in responding to their ever-increasing needs. Doing business internationally is not only about accounting, legal, and tax issues, but also about business and ethical/cultural perspectives. We offer an invaluable knowledge of both the Italian and German marketplaces, mindsets and business sensitivities. A successful business expansion in the German marketplace depends heavily on a deep knowledge of these intangibles. 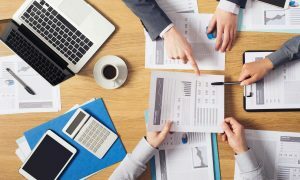 Transfer Pricing Documentation and Cross Examination. Smart contract management and data publication on BlockChain. Consultancy on Process Automation, Industry 4.0. Follow the directions for Munich-center until “Thomas-Wimmer-Ring”. Then turn into Maximilianstrasse towards the center. Take tram number 19 to the “Kammerspiele” stop in Maximilianstrasse (the journey takes about 20 minutes). and completeness of the information presented here. This also applies to other Internet sites that are linked to this one. Riera reserves the right to make changes or additions without announcement. The contents of this Internet page are protected by copyright; the reproduction or dissemination of the texts provided here requires prior written approval from the person named as Publisher (see also § 6 German Telecommunication Law (TDG)/ Publisher). The information represents neither legal nor tax consultation via Internet, nor is it to be considered as a request for online legal or tax consultation. - Information on how to reach Riera can be found under the "CONTACT" menu. - Riera is a sole proprietorship represented by Dott. Libero Riera. - Libero Riera, Dottore Commercialista, Revisore Contabile, Wirtschaftsprüfer, is a member of the "ordine dei Dottori Commercialisti di Roma" (Rome Tax Advisor Chamber), the "Registro dei Revisori Contabili presso il Ministero di Grazia e Giustizia italiano" (Chartered Accountant Registry at the Italian Ministry of the Interior) and member of the Wirtschaftsrüferkammer in Berlin (Berlin Chartered Accountant Chamber). 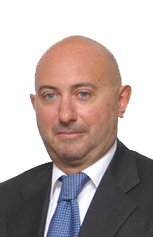 - Enrico Micheli, Attorney, is an established European attorney and member of the "ordine degli Avvocati di Piacenza" (Piacenza bar association) and the Munich bar association. 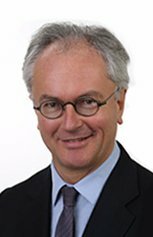 - Karl Rehm, Rechtsanwalt (German Attorney), is member of the "Anwaltskammer München" (Munich bar association). 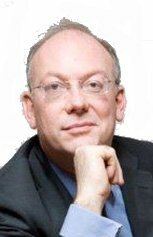 - Francesco de' Medici, Dottore Commercialista e Revisore Contabile (Doctor of Commerce and Certified Auditor), is a member of the "ordine dei Dottori Commercialisti di Tivoli (Tivoli Tax Advisors Chamber) and the "Registro dei Revisori Contabili presso il Ministero di Grazia e Giustizia italiano" (Chartered Accountant Registry at the Italian Ministry of the Interior).